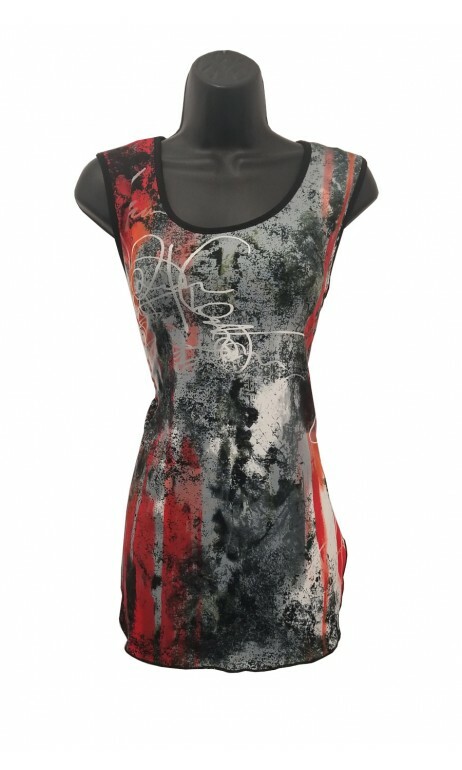 Nice camisole tunic with Lydia print of the new collection Modes Gitane. Without sleeves. Round neckline. Wrinkle resistant fabric and quality. Made in Canada. 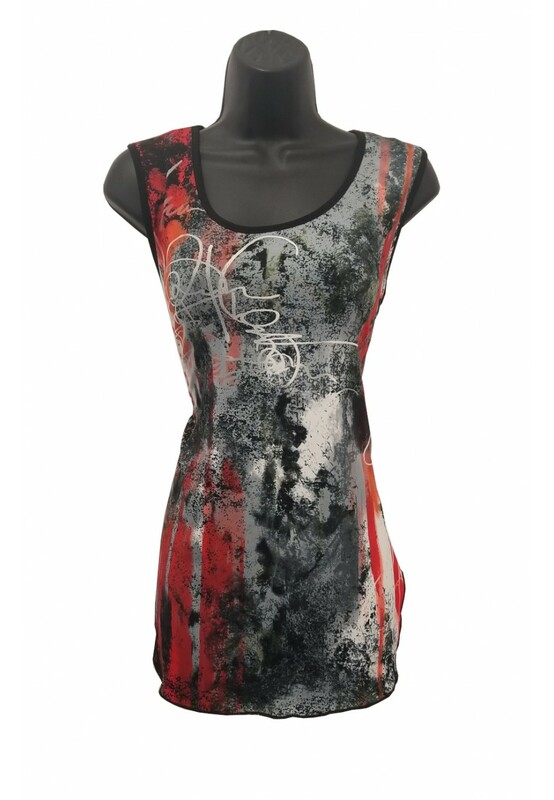 available in sizes X-Small to 3 X-large. Fast delivery and satisfaction guaranteed.